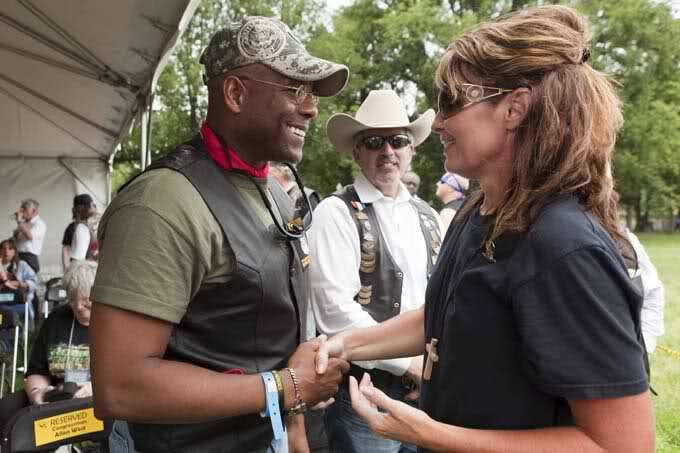 This entry was posted on Tuesday, July 19th, 2011 at 00:09 and is filed under Politics, Sarah Palin. Indeed, this seems much too fantastic given the state of our union today. We’re living the Obama disaster, and it’s therefore nearly impossible to imagine a world in which the news about jobs is not “unexpectedly” bad, month after month. It’s almost inconceivable that America’s ship of state will ever make steam on an even keel again. As difficult as it may be to imagine an America restored to cultural, economic, fiscal, and moral health, it is not impossible. Sarah Palin knows this. I know it, and so do you: The truth of the matter lies not in what government will do to fix the ostensibly intractable problems, but in what we, the American people, will do to make things right, not only with respect to government, but much more importantly, within ourselves. An old maxim familiar to Americans is that “charity begins at home.” In much the same way, and for precisely the same reasons, real change must begin within each of us, if it is to endure. The rational among us already know that the situation we have created cannot persist without the most dire and tragic consequences. We will not survive as a nation of perpetual beggars and the slaves who must serve them, while the politicians collect the votes for having provided for the beggars out of the pockets of their betters. This cannot continue. It is an affront to the traditional American system of morality. In America, we have always shared our bounty with our neighbors, when we had it, and often when we hadn’t, not because some tyrant in Washington D.C. demanded it, but because it was what we Americans believed we ought do. Over the years since Franklin D. Roosevelt’s “New Deal,” it has become more comfortable, more ordinary, and much more common for government to step into our lives and coerce its own version of ‘charity’ from those who produce the bounty. More than an economic problem, and greater than any fiscal crisis that will result, this is a moral problem that rots our culture and our people at their cores. How do we teach our children the necessity of diligence and industry if the culture in which they are educated and raised is one of continuous hand-outs? No honest person believes this, but it seems that almost none will address it in any substantive way. The problem resides not in some distant capital, but in each of us. Notice that Governor Palin writes “ourselves,” but neither “our government” nor “our elected officials.” She states this at a time when so many are turning to Washington for solutions, but she specifically reminds us that the sort of good government we claim to seek starts neither with an election nor in Washington, but in the hearts and minds and the morality of those who are entrusted with the power of the vote: Each of us. This deep and abiding belief in the supremacy of individuals, and the recognition of the critical importance of an individualized ethic of empowerment is the signature of real leaders. Leaders understand that their best efforts will rely upon the individual efforts of those who will be led. It also speaks to Governor Palin’s clear view of a necessity to confront our real problem where it resides most stubbornly: In each of us. Just as Barack Obama scapegoats ‘the rich’ or ‘corporations,’ because it’s an emotionally satisfying answer that disclaims any responsibility on the part of all others, it is easy to point to DC, and big government generally, without ever confronting what it is that makes such oversized, increasingly oppressive governments possible: Each of us. What Sarah Palin offers us is not merely good stewardship of the nation’s interests, but a reminder that such stewardship is frivolous if the people at whose pleasure the steward serves are not themselves upright guardians of a nation’s historical virtues, upon which that nation had been founded. Few who will read this will doubt that my flight of fancy could be possible, but how many are willing to accept the wisdom our prospective servant offers? If we are unwilling to live the values we say we cherish, how will we restore them? If we are unwilling to take the bitter pill we must swallow in order to preserve our lives and our futures, how shall any servant guarantee our right to them? If we are intransigent in the respect we show to the rights of others, how is it that we believe any leader we may elect will be able to propagate those rights to all people throughout the land? If I clamour for unfettered access to my neighbors’ wallets today, what could possibly induce in me the belief that my own wallet will be safe tomorrow? Sarah Palin has simply identified in public that which we’ve all secretly known, but seldom uttered, half in fear that it might be true, and half in shame at our inaction even in the knowledge that it is: There are no shortcuts to liberty, prosperity, solvency, or morality. No leader, no matter his or her virtues can grant these to us. We must create them. We must restore them. We must fight for them not as hypocrites, but as earnest, albeit imperfect, practitioners. If, like me, you can believe my rosy future scenario possible, then you ought also to know it can only come to be through the efforts of each of us, alone in our labors, thoughts and works, but united in our commitment to live them. This sort of restoration isn’t easy. It relies not merely upon great leaders rising to do battle, but instead upon the great citizens rising to take their places on the field. The best general cannot engage without an army. Little more can be done with an unmotivated, insincere force. National restoration does not end upon the inauguration. It merely continues on that day. If we are to shape the sort of future our wildest dreams permit us to imagine, it is going to take all of us in an enduring effort. Each of us. Thank you so much for sharing your fantasy!! I love it!!! Spot On! Mark, you have a way of always articulating your message strongly and accurately. Keep up the great work!